[Jakarta, LTTW] Indonesian Composer Slamet Abdul Sjukur passed away on March 24th, 2015. He died in Dr Soetomo General Hospital, in Surabaya, East Java, at 6.00am, Western Indonesia Time. 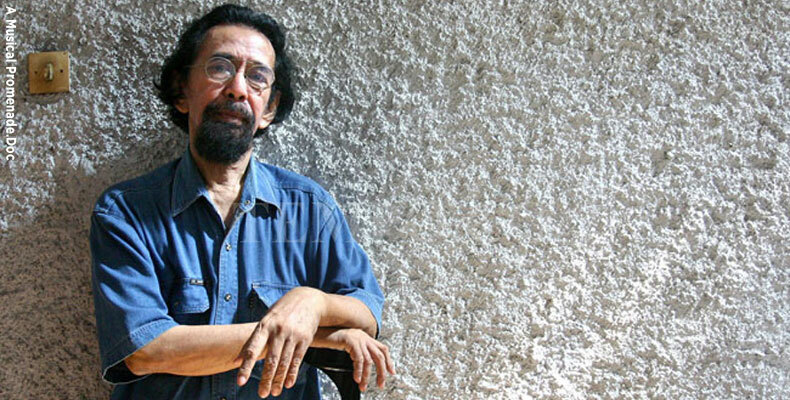 Born in 1935 in Surabaya, East Java, Slamet A. Sjukur has been noted as one of the pioneers in contemporary music in Indonesia. He was a lecturer at Institut Kesenian Jakarta (Jakarta Institute of Arts) for a little while before working fully as a freelance composer, teacher and music critic. Claiming to have studied and worked in Paris under Olivier Messiaen and Henri Dutilleux (see “Vox de Cultura – Classical Bang”), he stirred the music scene with his unconventional ideas, approaches and practices. His works are “notable for their minimal constellation of sounds and for their numerological basis which indicate the composer’s interest in a new ‘ecology of music’”. This idea views limitation not as obstructions but as a challenge to work with a simple material, maximally. Indonesia owes a gratitude for his braveness and great effort in showing that crossing boundaries is one of the essentials in enliven and enrich the life of arts.